Media Partner of CHI for CHI’s 14th Annual Discovery on Target taking place September 19 – 22, 2016 in Boston. 8:10 FEATURED PRESENTATION: The Epidemic of Fatty Liver Disease: Silent, Serious and Still Growing? Peroxisome proliferator-activated receptors (PPARs) are ligand-activated nuclear receptors which regulate lipid and glucose metabolism as well as inflammation. In this presentation, we will review recent findings on the pathophysiological role of PPARs in the different stages of non-alcoholic fatty liver disease (NAFLD), from steatosis development to steatohepatitis and fibrosis, as well as the preclinical and clinical evidences for potential therapeutical use of PPAR agonists in the treatment of NAFLD. PPARs play a role in modulating hepatic triglyceride accumulation, a hallmark of the development of NAFLD. Moreover, PPARs may also influence the evolution of reversible steatosis towards irreversible, more advanced lesions. Large controlled trials of long duration to assess the long-term clinical benefits of PPAR agonists in humans are ongoing. Weilin Xie, Ph.D., Senior Principal Scientist, Biotherapeutics, Celgene Corp.
Diana Ronai Dunshee, Ph.D., Department of Molecular Biology, Senior Scientific Researcher, Genentech, Inc.
FGF21 is a hormone with anti-obesity and hepatoprotective properties. However, the beneficial effects of FGF21 are limited by a relatively short half-life in circulation. We discovered that fibroblast activation protein (FAP), an endopeptidase overexpressed in liver with cirrhosis, cleaves and inactivates FGF21. Pharmacological inhibition of FAP increases endogenous levels of active FGF21, thus making FAP a promising target for the treatment of non-alcoholic-steatohepatitis (NASH). NASH patients typically have metabolic syndrome including diabetes, dyslipidemia, obesity, and primarily die of cardiovascular disease. Hypothyroidism at the level of the thyroid gland and liver-specific hypothyroidism are common in NASH. Based on clinical and preclinical data, Thyroid receptor beta agonists decrease insulin resistance, reduce LDL-C, triglycerides fatty liver, inflammation and fibrosis in NASH. The target will also provide CV benefit to patients with NASH. MGL-3196 is a highly THR-ß selective liver-directed once daily oral medication that has shown excellent safety and lipid-lowering efficacy in humans; unlike prior thyroid receptor agonist(s), no cartilage findings in chronic toxicology or ALT increases in human studies. MGL-3196 is being advanced in Phase II studies in patients with genetic dyslipidemia or NASH. What drug interfered with the performance of Sharapova? Meldonium is manufactured and sold as Mildronate by the pharmaceutical company Grindeks in the Baltic nation of Latvia. Meldonium is not available in the United States or elsewhere in the European Union (it was grandfathered in Latvia) other than via purchase on the Internet. The World Anti-Doping Agency classifies meldonium as a “metabolic modulator” and moved the drug from its watch list to its list of banned substances in January 2016. Other “metabolic modulators” are insulin and trimetazidine, an anti-ischemic metabolic agent that increases myocardial glucose utilization through inhibition of fatty acid metabolism. [1,2] Trimetazidine is approved in the European Union for the treatment of angina, but it is not approved in the United States. The chemical name for meldonium is trimethylhydrazinium propionate. Meldonium works by decreasing the availability of levocarnitine (L-carnitine). L-carnitine is found naturally in milk and meats, and also can be synthesized by the body from lysine and methionine with the help of gamma-butyrobetaine hydroxylase. L-carnitine helps move long-chain fatty acids into the mitochondria for oxidation and energy production in the muscles. Ironically, L-carnitine, which meldonium inhibits, is taken as a dietary supplement alone and as an ingredient in energy drinks to increase athletic performance. (L-carnitine is available in the United States as the prescription drug Carnitor®, which is indicated for carnitine deficiency owing to inborn errors of metabolism and for end-stage renal disease requiring dialysis.) After two decades of research, no consistent evidence has emerged indicating that carnitine supplements can improve exercise or physical performance. Carnitine supplements do not appear to increase the body’s use of oxygen or improve metabolic status when exercising, and may not increase the amount of carnitine in muscle. [3,4]Carnitine is not on the list of banned substances. All published clinical efficacy studies on meldonium, except one, are in Russian. Abstracts of randomized controlled trials have reported the efficacy of meldonium in reducing angina, arrhythmias, and anxiety and other early sequelae of myocardial infarction[7-10]; as an “adaptogen” in patients with cardiovascular disease[11,12]; and in treating angina and reducing myocardial ischemia after percutaneous coronary intervention,[6,13,14] heart failure, and diabetic peripheral neuropathy. Doses, when included in the abstracts, ranged from 750 to 1000 mg per day. Only one abstract mentioned adverse effects, stating that none occurred. A pharmacokinetic study of meldonium showed that the drug has a dose-dependent half-life and volume of distribution with accumulation on multiple-dose administration. In eight healthy volunteers who received meldonium for 13 days, almost all reported insomnia, half reported burping, and one quarter reported “dreaminess.” No serious adverse effects were reported. A study in healthy, nonvegetarian volunteers receiving 1000 mg meldonium per day for 4 weeks showed that plasma concentrations of L-carnitine decreased by 18%. Urine samples showed an increase in L-carnitine excretion. Adverse effects were not mentioned. Meldonium is excreted in the urine largely unchanged, making urine testing a valid monitor presence of meldonium. No long-term studies on the safety and efficacy of meldonium have been published. No studies on the effect of meldonium on athletic performance in humans have been published. One study on the reliability of urine testing in professional sportsmentions an article and an abstract, but neither of those appears in PubMed. The abstract purports to be a review of “recent studies on mildronate especially in fields associated with physical work capabilities and sport” but cites only the study mentioned in the urine testing review. Most articles about meldonium cited on PubMed are by Latvian authors. Animal research suggests the potential usefulness of meldonium in Alzheimer disease,[21-23] Parkinson disease,[24,25] and diabetes. [26-29] Meldonium increased sexual activity in boars but not in male rats. Research in rodents found that meldonium can cause carnitine deficiency in offspring, so the drug should not be taken in pregnancy. Because meldonium is excreted renally, serum levels may be higher in patients with reduced kidney function, and the drug may accumulate with repeated dosing. L-carnitine appears to antagonize the effects of meldonium; otherwise, drug interactions are not known. To recap, meldonium is an interesting drug developed by Latvian researchers. Published research suggests that it may be an effective treatment for cardiovascular diseases, such as angina. Little information about its adverse effects has been published, however, and the long-term safety of meldonium is not known. And although reliable research on meldonium’s use for athletic performance is not available, the World Anti-Doping Agency has declared it a banned substance. Current knowledge on the effects of nut consumption on human health has rapidly increased in recent years and it now appears that nuts may play a role in the prevention of chronic age-related diseases. Frequent nut consumption has been associated with better metabolic status, decreased body weight as well as lower body weight gain over time and thus reduce the risk of obesity. The effect of nuts on glucose metabolism, blood lipids, and blood pressure are still controversial. However, significant decreased cardiovascular risk has been reported in a number of observational and clinical intervention studies. Thus, findings from cohort studies show that increased nut consumption is associated with a reduced risk of cardiovascular disease and mortality (especially that due to cardiovascular-related causes). Similarly, nut consumption has been also associated with reduced risk of certain cancers, such as colorectal, endometrial, and pancreatic neoplasms. Evidence regarding nut consumption and neurological or psychiatric disorders is scarce, but a number of studies suggest significant protective effects against depression, mild cognitive disorders and Alzheimer’s disease. The underlying mechanisms appear to include antioxidant and anti-inflammatory actions, particularly related to their mono- and polyunsaturated fatty acids (MUFA and PUFA, as well as vitamin and polyphenol content. MUFA have been demonstrated to improve pancreatic beta-cell function and regulation of postprandial glycemia and insulin sensitivity. PUFA may act on the central nervous system protecting neuronal and cell-signaling function and maintenance. The fiber and mineral content of nuts may also confer health benefits. Nuts therefore show promise as useful adjuvants to prevent, delay or ameliorate a number of chronic conditions in older people. Their association with decreased mortality suggests a potential in reducing disease burden, including cardiovascular disease, cancer, and cognitive impairments. Global life expectancy has increased from 65 years in 1990 to about 71 years in 2013 . As life expectancy has increased, the number of healthy years lost due to disability has also risen in most countries, consistent with greater morbidity . Reduction of mortality rates in developed countries has been associated with a shift towards more chronic non-communicable diseases . Cardiovascular diseases (CVDs) and related risk factors, such as hypertension, diabetes mellitus, hypercholesterolemia, and obesity are the top causes of death globally, accounting for nearly one-third of all deaths worldwide . Equally, the estimated incidence, mortality, and disability- adjusted life-years (DALYs) for cancer rose to 14.9 million incident cancer cases, 8.2 million deaths, and 196.3 million DALYs, with the highest impact of prostate and breast cancer in men and women, respectively . Depression is a leading cause of disability worldwide (in terms of total years lost due to disability), especially in high-income countries, increasing from 15th to 11th rank (37% increase) and accounting for 18% of total DALYs (almost 100 million DALYs) . Overall, the global rise in chronic non-communicable diseases is congruent with a similar rise in the elderly population. The proportion of people over the age of 60 is growing faster than any other age group and is estimated to double from about 11% to 22% within the next 50 years . Public health efforts are needed to face this epidemiological and demographic transition, both improving the healthcare systems, as well as assuring a better health in older people. Accordingly, a preventive approach is crucial to dealing with an ageing population to reduce the burden of chronic disease. In this context, lifestyle behaviors have demonstrated the highest impact for older adults in preventing and controlling the morbidity and mortality due to non- communicable diseases . Unhealthy behaviors, such as unbalanced dietary patterns, lack of physical activity and smoking, play a central role in increasing both cardiovascular and cancer risk . Equally, social isolation and depression in later life may boost health decline and significantly contribute to mortality risk . The role of diet in prevention of disability and death is a well-established factor, which has an even more important role in geriatric populations. Research has focused on the effect of both single foods and whole dietary patterns on a number of health outcomes, including mortality, cardiovascular disease (CVD), cancer and mental health disorders (such as cognitive decline and depression) [9-13]. Plantbased dietary patterns demonstrate the most convincing evidence in preventing chronic non-communicable diseases [14-17]. Among the main components (including fruit and vegetables, legumes and cereals), only lately has attention focused on foods such as nuts. Knowledge on the effect of nut consumption on human health has increased rapidly in recent years. The aim of this narrative review is to examine recent evidence regarding the role of nut consumption in preventing chronic disease in older people. Tree nuts are dry fruits with an edible seed and a hard shell. The most popular tree nuts are almonds (Prunus amigdalis), hazelnuts (Corylus avellana), walnuts (Juglans regia), pistachios (Pistachia vera), cashews (Anacardium occidentale), pecans (Carya illinoiensis), pine nuts (Pinus pinea), macadamias (Macadamia integrifolia), Brazil nuts (Bertholletia excelsa), and chestnuts (Castanea sativa). When considering the “nut” group, researchers also include peanuts (Arachis hypogea), which technically are groundnuts. Nuts are nutrient dense foods, rich in proteins, fats (mainly unsaturated fatty acids), fiber, vitamins, minerals, as well as a number of phytochemicals, such as phytosterols and polyphenols . Proteins account for about 10-25% of energy, including individual aminoacids, such as L-arginine, which is involved in the production of nitric oxide (NO), an endogenous vasodilatator . The fatty acids composition of nuts involves saturated fats for 415% and unsaturated fatty acids for 30-60% of the content. Unsaturated fatty acids are different depending on the nut type, including monounsaturated fatty acids (MUFA, such as oleic acid in most of nuts, whereas polyunsaturated fatty acids (PUFA, such as alpha-linolenic acid) in pine nuts and walnuts . Also fiber content is similar among most nut types (about 10%), although pine nuts and cashews hold the least content. Vitamins contained in nuts are group B vitamins, such as B6 (involved in many aspects of macronutrient metabolism) and folate (necessary for normal cellular function, DNA synthesis and metabolism, and homocysteine detoxification), as well as tocopherols, involved in anti-oxidant mechanisms . Among minerals contained in vegetables, nuts have an optimal content in calcium, magnesium, and potassium, with an extremely low amount of sodium, which is implicated on a number of pathological conditions, such as bone demineralization, hypertension and insulin resistance. Nuts are also rich in phytosterols, non-nutritive components of certain plant-foods that exert both structural (at cellular membrane phospholipids level) and hormonal (estrogen-like) activities . Finally, nuts have been demonstrated to be a rich source of polyphenols, which account for a key role in their antioxidant and anti-inflammatory effects. Metabolic disorders are mainly characterized by obesity, hypertension, dyslipidemia, and hyperglycemia/ hyperinsulinemia/type-2 diabetes, all of which act synergistically to increase morbidity and mortality of aging population. Obesity Increasing high carbohydrate and fat food intake in the last decades has contributed significantly to the rise in metabolic disorders. Nuts are energy-dense foods that have been thought to be positively associated with increased body mass index (BMI). As calorie-dense foods, nuts may contain 160–200 calories per ounce. The recommendation from the American Heart Association to consume 5 servings per week (with an average recommended serving size of 28 g) corresponds to a net increase of 800–1000 calories per week, which may cause weight gain. However, an inverse relation between the frequency of nut consumption and BMI has been observed in large cohort studies . Pooling the baseline observations of BMI by category of nut consumption in 5 cohort studies found a significant decreasing trend in BMI values with increasing nut intake . While the evidence regarding nut consumption and obesity is limited, findings so far are encouraging [25, 26]. When the association between nut consumption and body weight has been evaluated longitudinally over time, nut intake was associated with a slightly lower risk of weight gain and obesity . In the Nurses’ Health Study II (NHS II), women who eat nuts ≥2 times per week had slightly less weight gain (5.04 kg) than did women who rarely ate nuts (5.55 kg) and marginally significant 23% lower risk of obesity after 9-year follow-up . Further evaluation of the NHS II data and the Physicians’ Health Study (PHS) comprising a total of 120,877 US women and men and followed up to 20 years revealed that 4-y weight change was inversely associated with a 1-serving increment in the intake of nuts (20.26 kg) . In the “Seguimiento Universidad de Navarra” (SUN) cohort study, a significant decreased weight change has been observed over a period of 6 years . After adjustment for potential confounding factors the analysis was no longer significant, but overall no weight gain associated with >2 servings per week of nuts has been observed. Finally, when considering the role of the whole diet on body weight, a meta-analysis of 31 clinical trials led to the conclusion of a null effect of nut intake on body weight, BMI, and waist circumference . Glucose metabolism and type-2 diabetes The association between nut consumption and risk of type-2 diabetes in prospective cohort studies is controversial [29-32]. A pooled analysis relied on the examination of five large cohorts, including the NHS, the Shanghai Women’s Health Study, the Iowa Women’s Health Study, and the PHS, and two European studies conducted in Spain (the PREDIMED trial) and Finland including a total of more than 230,000 participants and 13,000 cases, respectively. Consumption of 4 servings per week was associated with 13% reduced risk of type-2 diabetes without effect modification by age . In contrast, other pooled analyses showed non-significant reduction of risk for increased intakes of nuts, underlying that the inverse association between the consumption of nuts and diabetes was attenuated after adjustment for confounding factors, including BMI . However, results from experimental studies showed promising results. Thus, nut consumption has been demonstrated to exert beneficial metabolic effects due to their action on post-prandial glycemia an insulin sensitivity. A number of RCTs have demonstrated positive effects of nut consumption on post-prandial glycemia in healthy individuals [33-38]. Moreover, a meta-analysis of RCTs on the effects of nut intake on glycemic control in diabetic individuals including 12 trials and a total of 450 participants showed that diets with an emphasis on nuts (median dose = 56 g/d) significantly lowered HbA1c (Mean Difference [MD] : -0.07%; 95% confidence interval [CI]: -0.10, -0.03%; P = 0.0003) and fasting glucose (MD : -0.15 mmol/L; 95% CI: -0.27, -0.02 mmol/L; P = 0.03) compared with control diets . No significant treatment effects were observed for fasting insulin and homeostatic model assessment (HOMA-IR), despite the direction of effect favoring diet regimens including nuts. Blood lipids and hypertension Hypertension and dyslipidemia are major risk factors for CVD. Diet alone has a predominant role in blood pressure and plasma lipid homeostasis. One systematic review  and 3 pooled quantitative analyses of RCTs [41-43] evaluated the effects of nut consumption on lipid profiles. A general agreement was relevant on certain markers, as daily consumption of nuts (mean = 67 g/d) induced a pooled reduction of total cholesterol concentration (10.9 mg/dL [5.1% change]), low-density lipoprotein cholesterol concentration (LDL-C) (10.2 mg/dL [7.4% change]), ratio of LDL-C to high-density lipoprotein cholesterol concentration (HDL-C) (0.22 [8.3% change]), and ratio of total cholesterol concentration to HDL-C (0.24 [5.6% change]) (P <0.001 for all) . All meta-analyses showed no significant effects of nut (including walnut) consumption on HDL cholesterol or triglyceride concentrations in healthy individuals , although reduced plasma triglyceride levels were found in individuals with hypertriglyceridemia . Interestingly, the effects of nut consumption were dose related, and different types of nuts had similar effects on blood lipid concentrations. There is only limited evidence from observational studies to suggest that nuts have a protective role on blood pressure. A pooled analysis of prospective cohort studies on nut consumption and hypertension reported a decreased risk associated with increased intake of nuts . Specifically, only a limited number of cohort studies have been conducted exploring the association between nut consumption and hypertension (n = 3), but overall reporting an 8% reduced risk of hypertension for individuals consuming >2 servings per week (Risk Ratio [RR] = 0.92, 95% CI: 0.87-0.97) compared with never/rare consumers, whereas consumption of nuts at one serving per week had similar risk estimates (RR = 0.97, 95% CI: 0.83, 1.13) . These findings are consistent with results obtained in a pooled analysis of 21 experimental studies reporting the effect of consuming single or mixed nuts (in doses ranging from 30 to 100 g/d) on systolic (SBP) and diastolic blood pressure (DBP) . A pooled analysis found a significant reduction in SBP in participants without type2 diabetes [MD: -1.29 mmHg; 95% CI: -2.35, -0.22; P = 0.02] and DBP (MD: -1.19; 95% CI: -2.35, -0.03; P = 0.04), whereas subgroup analyses of different nut types showed that pistachios, but not other nuts, significantly reduced SBP (MD: -1.82; 95% CI: -2.97, -0.67; P = 0.002) and SBP (MD: -0.80; 95% CI: -1.43, -0.17; P = 0.01) . Nut consumption and CVD risk Clustering of metabolic risk factors occurs in most obese individuals, greatly increasing risk of CVD. The association between nut consumption and CVD incidence [29-31] and mortality  has been explored in several pooled analyses of prospective studies. The overall risk calculated for CVD on a total of 8,862 cases was reduced by 29% for individuals consuming 7 servings per week (RR = 0.71, 95% CI: 0.59, 0.85) . A meta-analysis including 9 studies on coronary artery disease (CAD) including 179,885 individuals and 7,236 cases, reporting that 1-serving/day increment would reduce risk of CAD of about 20% (RR = 0.81, 95% CI: 0.72, 0.91) . Similar risk estimates were calculated for ischemic heart disease (IHD), with a comprehensive reduced risk of about 25-30% associated with a daily intake of nuts [29, 30]. Findings from 4 prospective studies have been pooled to estimate the association between nut consumption and risk of stroke, and a non-significant/borderline reduced risk was found [29-31, 45]. CVD mortality was explored in a recent meta-analysis including a total of 354,933 participants, 44,636 cumulative incident deaths, and 3,746,534 cumulative person-years . One serving of nuts per week and per day resulted in decreased risk of CVD mortality (RR = 0.93, 95% CI: 0.88, 0.99 and RR =0.61, 95% CI: 0.42, 0.91, respectively], primarily driven by decreased coronary artery disease (CAD) deaths rather than stroke deaths . Overall, all pooled analyses demonstrated a significant association between nut consumption and cardiovascular health. However, it has been argued that nut consumption was consistently associated with healthier background characteristics reflecting overall healthier lifestyle choices that eventually lead to decreased CVD mortality risk. Nut consumption and cancer risk Cancer is one of the leading causes of death in the elderly population. After the evaluation of the impact on cancer burden of food and nutrients, it has been concluded that up to one third of malignancies may be prevented by healthy lifestyle choices. Fruit and vegetable intake has been the focus of major attention, but studies on nut consumption and cancer are scarce. A recent metaanalysis pooled together findings of observational studies on cancer incidence, including a total of 16 cohort and 20 casecontrol studies comprising 30,708 cases, compared the highest category of nut consumption with the lowest category and found a lower risk of any cancer of 25% (RR = 0.85, 95% CI: 0.86, 0.95) . When the analysis was conducted by cancer site, highest consumption of nuts was associated with decreased risk of colorectal (RR = 0.76, 95% CI: 0.61, 0.96), endometrial (RR = 0.58, 95% CI: 0.43, 0.79), and pancreatic cancer (RR = 0.71, 95% CI: 0.51, 0.99), with only one cohort study was conducted on the last . The potential protective effects of nut consumption on cancer outcomes was supported also by pooled analysis of 3 cohort studies [comprising the PREDIMED, the NHS, the HPS, and the Health Professionals Follow-Up Study (HPFS) cohorts] showing a decreased risk of cancer death for individuals consuming 3-5 servings of nuts per week compared with never eaters (RR = 0.86, 95% CI: 0.75, 0.98) . The analysis was recently updated by including results from the Netherlands Cohort Study reaching a total of 14,340 deaths out of 247,030 men and women observed, confirming previous results with no evidence of between-study heterogeneity (RR = 0.85, 95% CI: 0.77, 0.93) . However, a dose- response relation showed the non-linearity of the association, suggesting that only moderate daily consumption up to 5 g reduced risk of cancer mortality, and extra increased intakes were associated with no further decreased risk. Nut consumption and affective/cognitive disorders Age-related cognitive decline is one of the most detrimental health problems in older people. Cognitive decline is a paraphysiological process of aging, but timing and severity of onset has been demonstrated to be affected by modifiable lifestyle factors, including diet. In fact, the nature of the age- related conditions leading to a mild cognitive impairment (MCI) differs by inflammation-related chronic neurodegenerative diseases, such as dementia, Alzheimer’s disease, Parkinson’s disease and depression. Evidence restricted to nut consumption alone is scarce, but a number of studies have been conducted on dietary patterns including nuts as a major component. A pooled analysis synthesizing findings of studies examining the association between adherence to a traditional Mediterranean diet and risk of depression (n = 9), cognitive decline (n = 8), and Parkinson’s disease (n = 1) showed a reduction of risk of depression (RR = 0.68, 95% CI: 0.54, 0.86) and cognitive impairment (RR = 0.60, 95% CI: 0.43, 0.83) in individuals with increased dietary adherence . The study that first found a decreased risk of Alzheimer’s disease in individuals highly adherent to the Mediterranean diet was conducted in over 2,000 individuals in the Washington/Hamilton Heights-Inwood Columbia Aging Project (WHICAP), a cohort of non-demented elders aged 65 and older living in a multi-ethnic community of Northern Manhattan in the US (Hazard Ratio [HR] = 0.91, 95% CI: 0.83, 0.98) . These results have been replicated in further studies on the Mediterranean diet, however nut consumption was not documented [49, 50]. A number of observational studies also demonstrated a significant association between this dietary pattern and a range of other cognitive outcomes, including slower global cognitive decline . However, evidence from experimental studies is limited to the PREDIMED trial, providing interesting insights on the association between the Mediterranean diet supplemented with mixed nuts and both depression and cognitive outcomes. Regarding depression, the nutritional intervention with a Mediterranean diet supplemented with nuts showed a lower risk of about 40% in participants with type-2 diabetes (RR = 0.59, 95% CI: 0.36, 0.98) compared with the control diet . However the effect was not significant in the whole cohort overall . Regarding cognitive outcomes after a mean follow-up of 4.1 years, findings from the same trial showed significant improvements in memory and global cognition tests for individuals allocated to the Mediterranean diet supplemented with nuts [adjusted differences: -0.09 (95% CI: -0.05, 0.23), P = 0.04 and -0.05 (95% CI: -0.27, 0.18), P = 0.04, respectively], compared to control group, showing that Mediterranean diet plus mixed nuts is associated with improved cognitive function . Potential mechanisms of protection of nut consumption Despite the exact mechanisms by which nuts may ameliorate human health being largely unknown, new evidence has allowed us to start to better understand the protection of some high-fat, vegetable, energy-dense foods such as nuts. Non- communicable disease burden related with nutritional habits is mainly secondary to exaggerated intakes of refined sugars and saturated fats, such as processed and fast- foods. Nuts provide a number of nutrient and non-nutrient compounds and it is only recently that scientists have tried to examine their effects on metabolic pathways. Despite the exact mechanisms by which nuts may ameliorate human health being largely unknown, new evidence has allowed us to start to better understand the protection of some high-fat, vegetable, energy-dense foods such as nuts. Non- communicable disease burden related with nutritional habits is mainly secondary to exaggerated intakes of refined sugars and saturated fats, such as processed and fast- foods. Nuts provide a number of nutrient and non-nutrient compounds and it is only recently that scientists have tried to examine their effects on metabolic pathways. Cancer protection The potential mechanisms of action of nuts that may intervene in the prevention of cancer have not been totally elucidated. Numerous hypotheses have been proposed on the basis of basic research exploring the antioxidant and anti-inflammatory compounds characterizing nuts . Vitamin E can regulate cell differentiation and proliferation, whereas polyphenols (particularly flavonoids such as quercetin and stilbenes such as resveratrol) have been shown to inhibit chemically-induced carcinogenesis . Polyphenols may regulate the inflammatory response and immunological activity by acting on the formation of the prostaglandins and pro-inflammatory cytokines, which may be an important mechanism involved in a number of cancers, including colorectal, gastric, cervical and pancreatic neoplasms . Among other compounds contained in nuts, dietary fiber may exert protective effects toward certain cancers (including, but not limited to colorectal cancer) by the aforementioned metabolic effects as well as increasing the volume of feces and anaerobic fermentation, and reducing the length of intestinal transit. As a result, the intestinal mucosa is exposed to carcinogens for a reduced time and the carcinogens in the colon are diluted . Finally, there is no specific pathway demonstrating the protective effect of PUFA intake against cancer, but their interference with cytokines and prostaglandin metabolism may inhibit a state of chronic inflammation that may increase cancer risk . Cognitive aging and neuro-protection There is no universal mechanism of action for nuts with regard to age-related conditions. A number of systemic biological conditions, such as oxidative stress, inflammation, and reduced cerebral blood flow have been considered as key factors in the pathogenesis of both normal cognitive ageing and chronic neurodegenerative disease . Nuts, alone or as part of healthy dietary patterns, may exert beneficial effects due to their richness in antioxidants, including vitamins, polyphenols and unsaturated fatty acids, that may be protective against the development of cognitive decline and depression [65, 66]. Both animal studies and experimental clinical trials demonstrated vascular benefits of nuts, including the aforementioned lowering of inflammatory markers and improved endothelial function, which all appear to contribute to improved cognitive function . The antioxidant action may affect the physiology of the ageing brain directly, by protecting neuronal and cell-signaling function and maintenance. Moreover, certain compounds contained in nuts may directly interact with the physiology and functioning of the brain. For instance, walnuts are largely composed of PUFA, especially ALA, which have been suggested to induce structural change in brain areas associated with affective experience . Moreover, PUFA have been associated with improved symptoms in depressed patients, suggesting an active role in the underlying pathophysiological mechanisms . 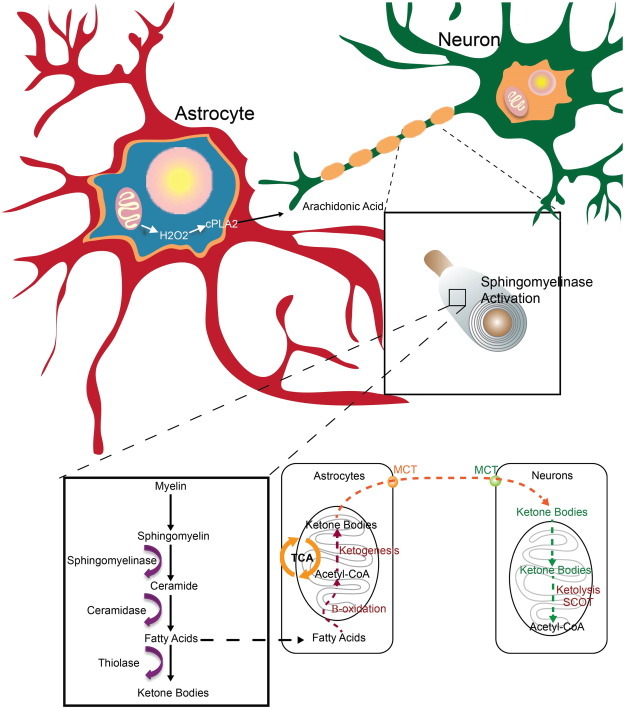 Thus, the mechanisms of action of nut consumption on age-related cognitive and depressive disorders are complex, involving direct effects on brain physiology at the neuronal and cellular level and indirect effects by influencing inflammation. Summary From an epidemiological point of view, nut eaters have been associated with overall healthier lifestyle habits, such as increased physical activity, lower prevalence of smoking, and increased consumption of fruits and vegetables . These variables represent strong confounding factors in determining the effects of nuts alone on human health and final conclusions cannot be drawn. Nevertheless, results from clinical trials are encouraging. Nuts show promise as useful adjuvants to prevent, delay or ameliorate a number of chronic conditions in older people. Seaweed, is making waves again thanks to the discovery of a seaweed that tastes like bacon and is better for you than kale. This could be good news given the World Health Organization’s recent declaration that eating processed meats such as bacon and sausage can increase the risk of colorectal cancer. But why is seaweed so good for you? And can it actually taste good? Nutrition-wise, it’s a powerhouse of vitamins and minerals. Seaweeds contain dietary fiber, essential amino acids, vitamins, A, B, C, and E, Omega-3 fats, and minerals such as iodine, calcium, iron, zinc, and magnesium. All of these nutrients combine to reduce inflammation, lift your energy, maintain strong bones and teeth, support thyroid health and hormonal balance, and even reduce your risk of cancer. It’s no wonder seaweed has been a staple in Asian cuisine for centuries! While some may have concerns in recent years that seaweed is becoming a potentially harmful food due to the increasing pollution of our oceans, there has not been any evidence to support this despite ongoing testing. That being said, it’s always best to seek out quality products. We recommend finding brands that grow seaweed in sustainable ways and in pure or tested waters. While seaweed hasn’t quite risen to popularity as a superfood like kale or other leafy greens, it’s so versatile and easy to prepare we have a feeling it’ll win you over. 1. Cook your beans with kombu. Try adding a strip of kombu when cooking your dried beans to add a rich array of vitamins and minerals to your dish while enhancing the flavor and making the beans more digestible! Nori is lightweight and easy to pack yet also nutritious and surprisingly filling. It’s the perfect thing to throw into your bag for a quick snack at work or on the go, and is a healthy alternative for those with salty cravings. Even your kids will enjoy its crispy texture. Want another great way to use nori? Try these delicious seaweed breakfast wraps! 3. Enhance your smoothies with spirulina. Powdered seaweed such as spirulina is a great source of natural protein, making it a morning and pre- or post-workout favorite among Health Coaches and smoothie-lovers alike. Start with a teaspoon added to your preferred smoothie combo (it goes especially well with avocado, banana, or pineapple) and adjust the amount as you get used to it. 4. Add a dash of seaweed flakes to every meal. Health food stores or Asian markets will have a variety of packaged salts and seasoning that include seaweed. Or you can make your own by combining fine-chopped or ground nori, kombu, dulse, sea salt, black pepper, and sesame seeds. Keep this right along with your most frequently used seasonings and sprinkle it over daily meals. 5. Mix in kelp or kombu to stocks, soups, and stews. Add seaweed to any savory liquid-based foods! If you make your own vegetable stock from veggie scraps toss in a strip of seaweed and strain it out along with the other ingredients. If adding directly to soups or stews remove the solid strip before serving but don’t worry about any small pieces left in, they’re edible and will enhance the overall meal. 6. Stir it into your salad dressing. Sprinkle some powdered seaweed into any salad dressing you’re using, allow it to sit for a minute to mix and absorb, shake well, then toss into your salad. 7. Toss together a seaweed salad. Wakame and arame are best for a salad made predominantly of seaweed. Combine with vinegar, sesame oil, garlic, and scallions. You can also incorporate other veggies like cucumbers, carrots, or radishes. Experiment to find your favorite combination and share it as a unique side dish at your next potluck.